In 2014, Approximately $1.4 Billion Of That Will Be Sent Directly To Benefit NY Homeowners From Federal Community Development Block Grant Program. Washington, DC - October 29, 2013 - U.S. Senator Charles E. Schumer today released a progress report which reveals that in 2014, New York State is set to receive an estimated $6.3 billion in Sandy-relief funding. Of that, $1.4 billion will be sent directly to benefit homeowners in New York, $2.5 billion in additional FEMA obligations, $1.5 billion for transportation projects, $200 million for Army Corps projects in New York, $200 million for green infrastructure, $274 million in health funds, and $207 million in major veterans’ construction projects. Schumer’s progress report outlines how the $60 billion in Sandy Relief funding has been spent so far; to date, less than one-third of the $60 billion package has been spent. Schumer’s progress report also outlines what work still needs to be done, including mitigation projects that will make New York more resilient in the event of a future storm. Schumer fought for and secured a $60 billion dollar Sandy relief bill within 90 days of Superstorm Sandy’s landfall. Schumer today issued a progress report that documents successes from the first year, the obstacles to getting out aid faster and the outlooks for progress in 2014. · Schumer expects at least $2.5B will be obligated in 2014, for both permanent projects and reimbursements for repair work done by communities. · This program has been closed, no more funds will be obligated in 2014. Community Development Block Grant-Disaster Relief: This is the most flexible and widely sought program, but because of the complexity of building disbursement mechanisms, little has reached homeowners in 2013. That will change in 2014. The program is used for housing recovery, economic development and infrastructure resiliency. · Of the total CDBG pot, $3.5B has come to New York State and City since the storm. · Minimal amount has reached homeowners in 2013, but Schumer expects that nearly all of the $1.44B in tranche 1 of CDBG funds for housing programs will get out the door and go towards benefiting homeowners in 2014. Additional funds from tranche 2 may make their way as well. o Of that, $374 million was actually outlayed in 2013 and more than double will be spent in 2014. · Schumer expects that at least $1.5B in transportation projects will be obligated in 2014. · $567M has been obligated for the Corps’ coastal protection and navigation projects since the storm. o Of that, $87 has been outlayed, mostly on emergency projects. · Schumer expects that over $200M will be obligated and spent for Corps projects in New York in 2014, mostly on permanent projects. 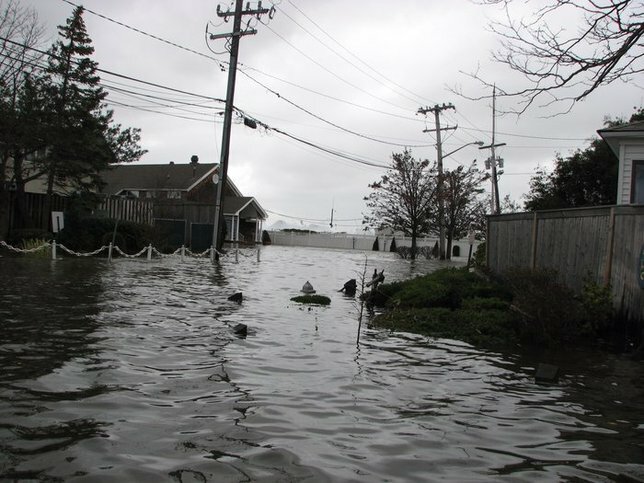 · Schumer expects that the Army Corps will finish a $20M comprehensive flood protection study of the Sandy disaster region, including New York Harbor. · Schumer expects that construction of an new dunes on Fire Island, new groins in Coney Island and a new dune system in Long Beach will be awarded for construction in 2014. · $97.3M has been obligated for green infrastructure since the storm. o Of that, $65 million was actually outlayed in 2013. · Schumer expects an additional $200 million for green infrastructure will be obligated and outlayed in 2014. · Nearly $480M has been obligated for projects, including $147M for National Institutes of Health medical research (much of which will go towards replacing research that was lost at NYU) and $474 for Health and Human Services Social Services Block Grants. o Of that, $18 million was outlayed in in 2013. · Schumer expects that the remainder of the $207M appropriated for construction and major projects at the VA hospital in Manhattan will be obligated in 2014. · SBA has approved more than $1.5B in low-interest disaster loans approved by SBA for homeowners, renters, businesses and others facing general economic injury. In is anticipated that there will be few new applications in 2014. Subject: LongIsland.com - Your Name sent you Article details of "Schumer Releases First Comprehensive Report On Sandy Aid Revealing New York Estimated To Get $6.3 Billion In 2014"